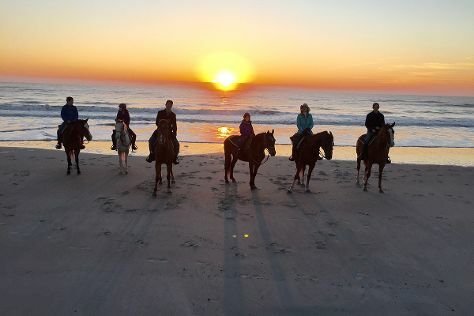 On the 9th (Sat), admire the majestic nature at Fort Clinch State Park, then brush up on your knowledge of spirits at Marlin & Barrel Distillery, then immerse yourself in nature at Amelia Island State Park, and finally trot along with Amelia Island Horseback Riding. Get ready for a full day of sightseeing on the 10th (Sun): contemplate the long history of Amelia Island Historic District and then kick back and relax at Seaside Park. To find reviews, maps, ratings, and other tourist information, go to the Amelia Island trip itinerary builder app . Expect a daytime high around 69°F in February, and nighttime lows around 51°F. Wrap up your sightseeing on the 10th (Sun) early enough to travel back home.